I'm only a few days into the New Year and still feeling pretty good about my resolution to eat healthier. Whether or not I'll stick with it in the weeks to come remains to be seen, but until then I'm eager to stuff myself with as many fruits and vegetables as I can get my chubby mitts on. One hurdle I've come across, is that I'm not entirely sure at times whether or not I'm picking the freshest produce. I don't want to have a bowl of fruits sitting around waiting to ripen at home. Pounds to Pocket, a UK-based money saving blog, created this fresh infographic that helps you know how to select the freshest produce possible every time you're at the grocers. The infographic details things to look out for like color, firmness, texture, and smell. 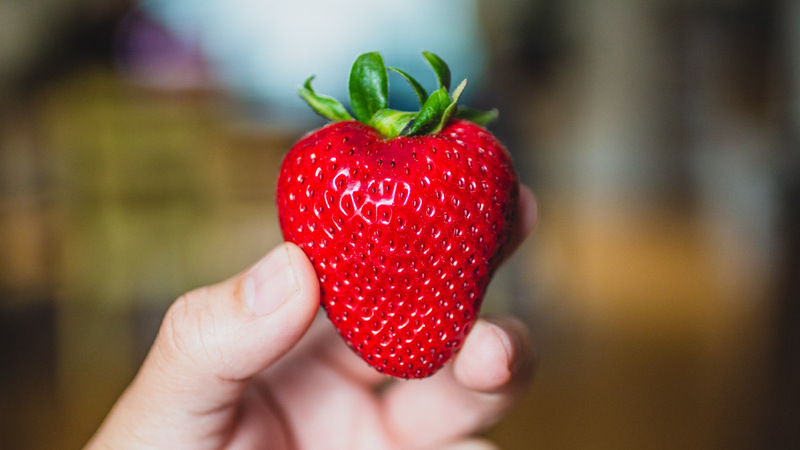 It also covers a diverse list of fruits and vegetables including strawberries, mangos, pineapple, apples, grapes, watermelon, avocados, blueberries, cherries, tomatoes, kiwi, rhubarb, broccoli, corn, carrots, cauliflower, asparagus, green beans, and mushrooms. Next time you're shopping in the produce aisle, you can strut with confidence knowing that there's a cheat sheet like this ready to jump in if you're ever feeling uncertain.